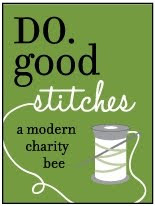 It's my turn to come up with an idea for the month of May for Imagine @ do.Good Stitches charity bee. 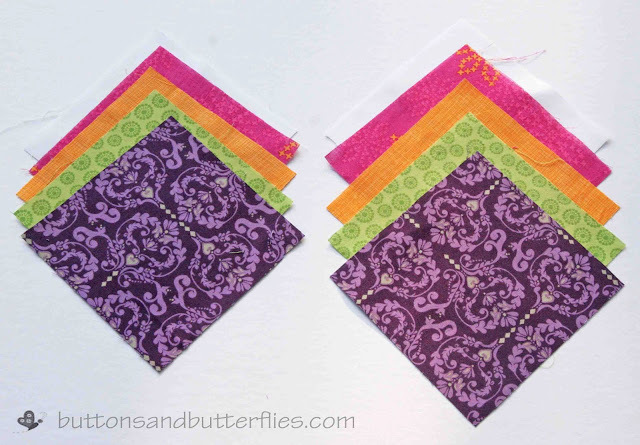 I have loved the card trick block ever since I first started quilting 16 years ago. I actually pulled out my Singer's Quilting Bible (circa 1997...whew...getting old here) and lo and behold? 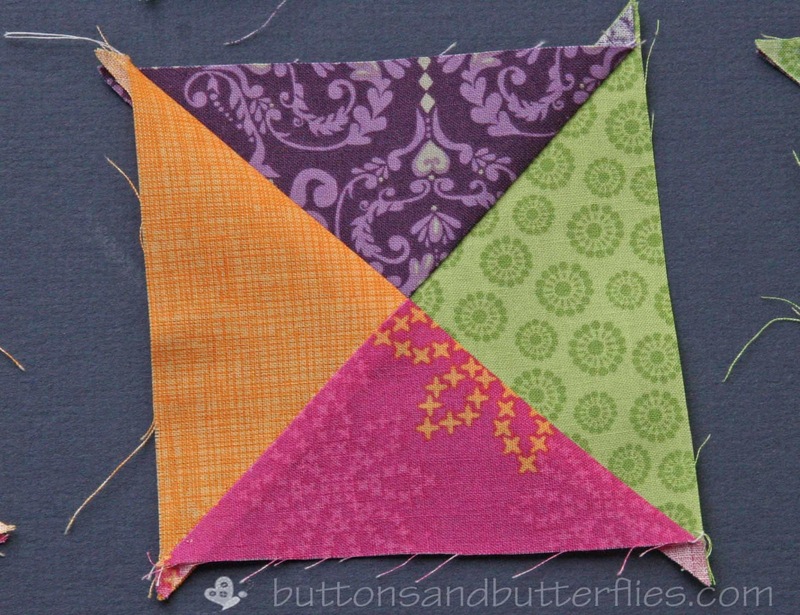 I still had the quilt block marked! However, I have different sizes planned then the ones in the book. One 12" block and one 9" block! Hopefully, my bee friends won't curse me like they were when they were paper piecing their blocks for Imagination! I plan to share it as a free quilt pattern in the very near future. In the meantime, I will share the tutorial for both blocks. 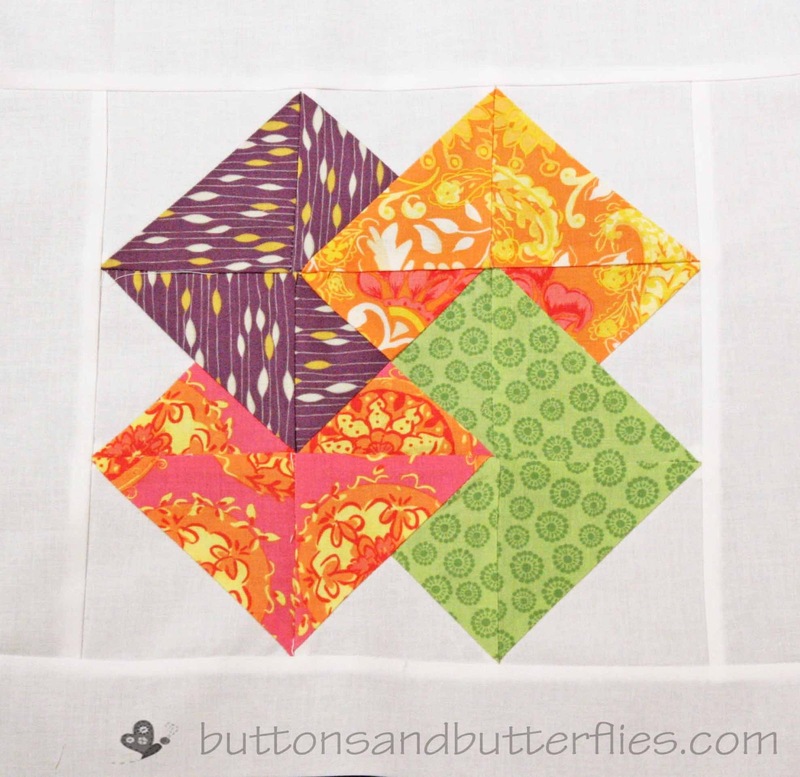 Free Quilt Pattern .pdf download will come in the near future. Hopefully, I can replace the image below with the real thing in June with all the blocks my bee comrades have won! 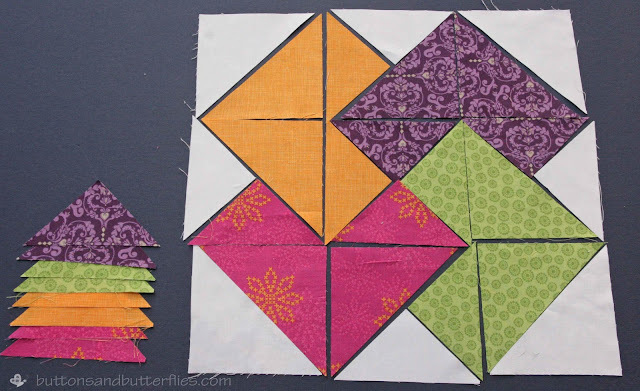 I recommend high contrast or value fabrics for this block. Each “card” will stand out more effectively while overlapping. Too low of contrast will cause them to blend more. For the sake of the bee quilt, I am requesting white backgrounds, but I think this would be an amazing quilt with a low volume background print! 1. 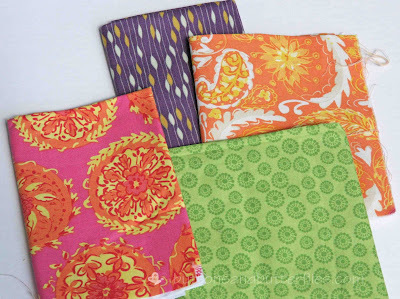 Cut one 5 1/4" square fabric each of background and four "card" fabrics. A total of five squares. 2. 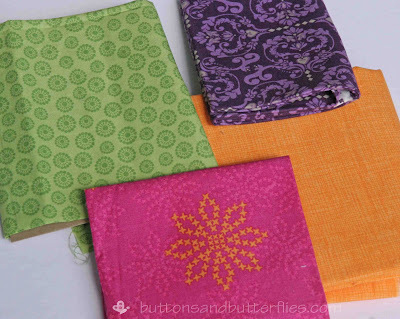 Cut two 4 7/8" square fabric of background and one of each four "card" fabrics. A total of six squares. 3. 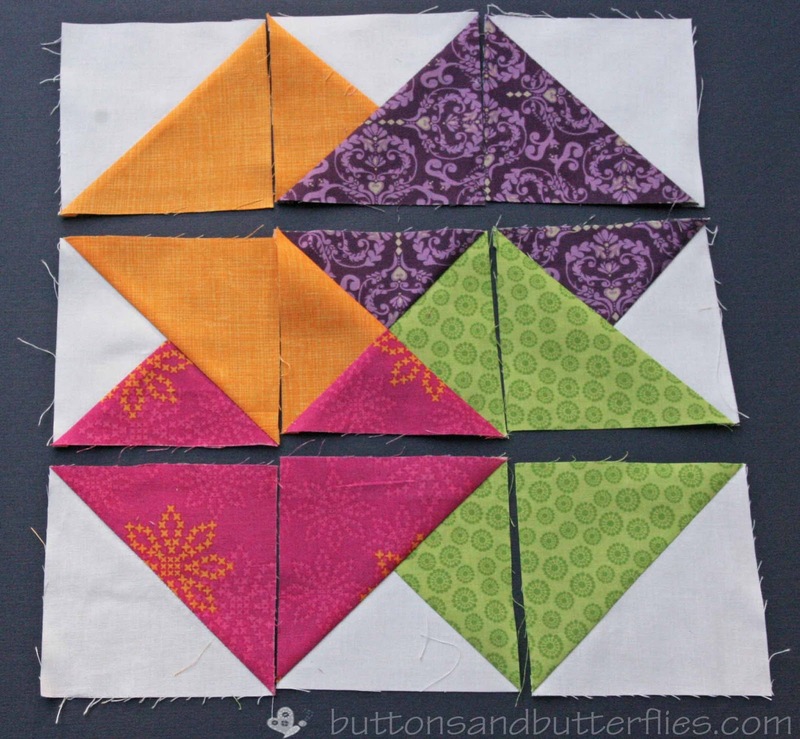 Cut through the larger squares (5 1/4") twice diagonally to make four sets of triangles. 4. Cut through the smaller squares (4 7/8") once diagonally to make two sets of triangles. Note: the photo below is missing the second background triangle. 5. 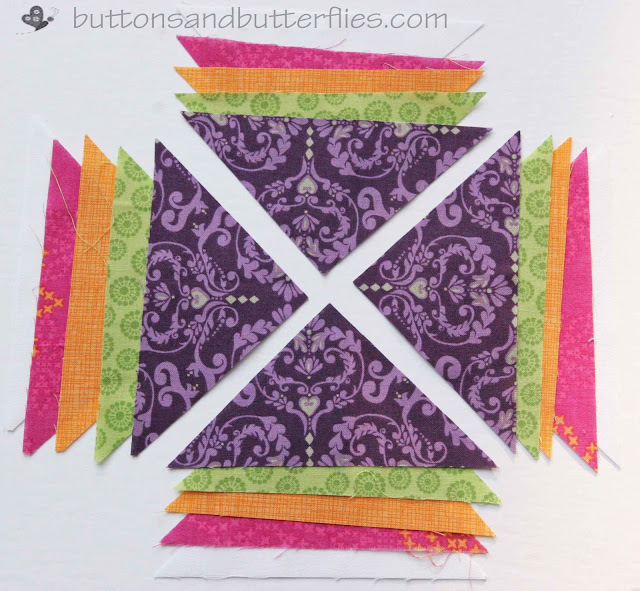 Layout your triangle to create the overlapping square effect. Use this photo as a guide. Chain-stitching can be your friend. 6. 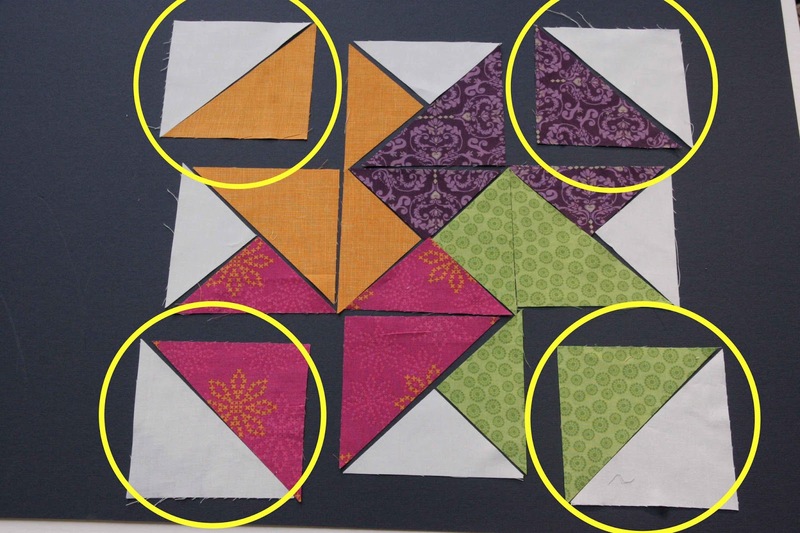 Start with the larger triangles in the corners. Stitch the background triangles to the card triangles. 7. 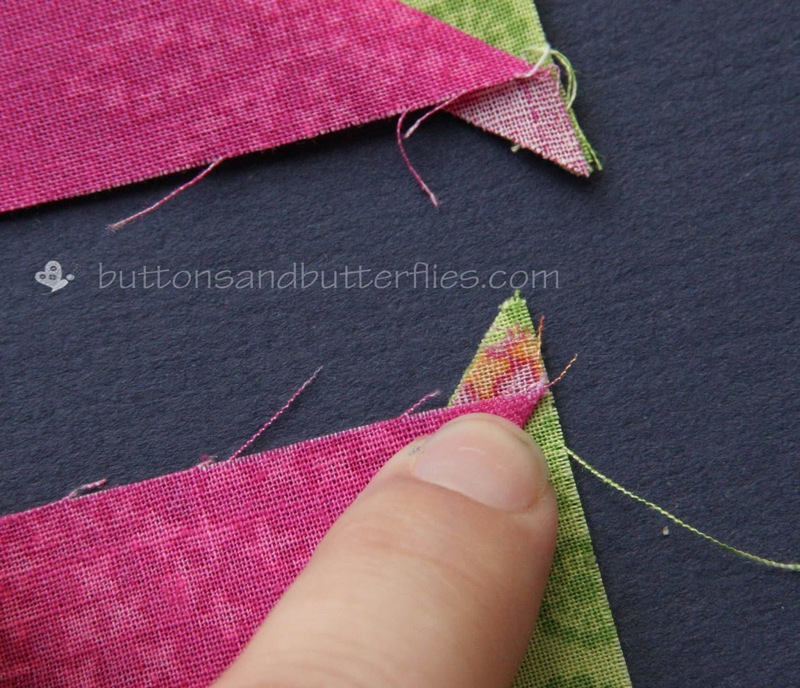 Stitch the marked triangles. 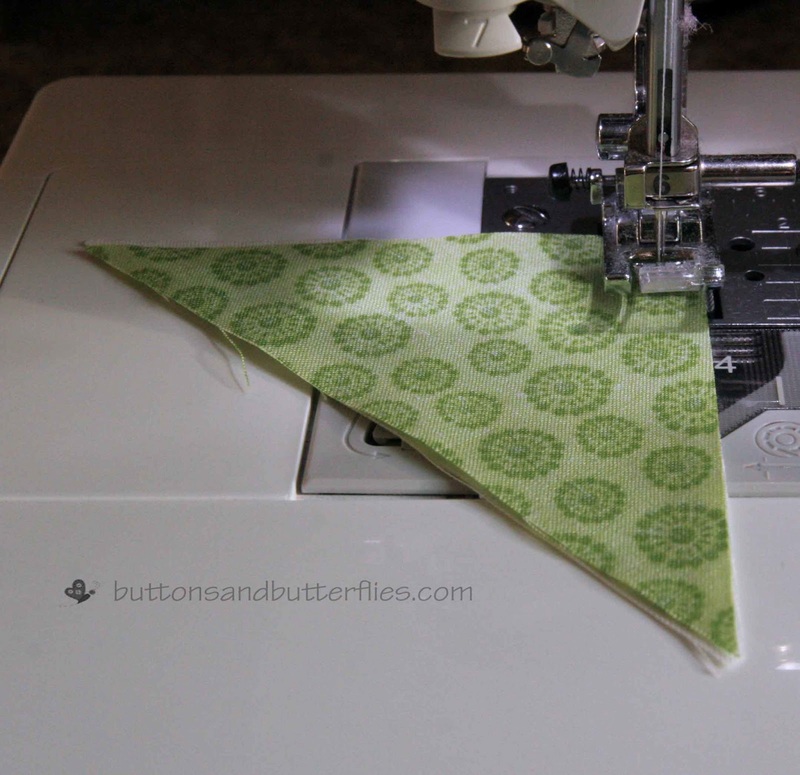 Stitch the smaller triangles first. 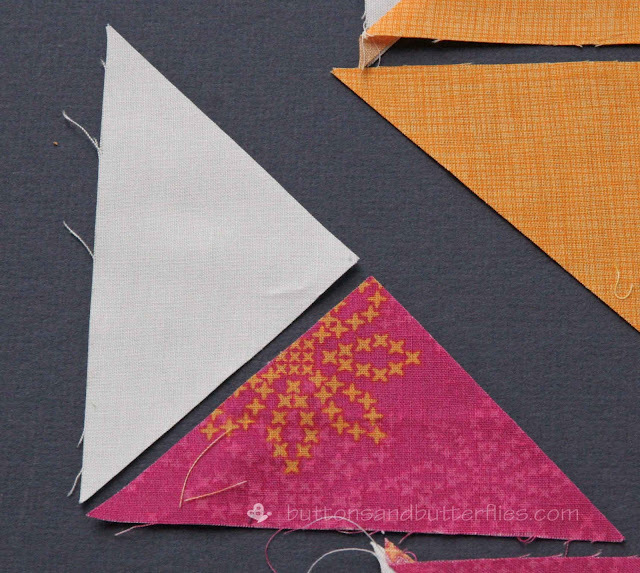 Then stitch the pieced triangle to the larger triangle. 8. Stitch the center block. Stitch two small blocks and then the piece triangles together. 9. 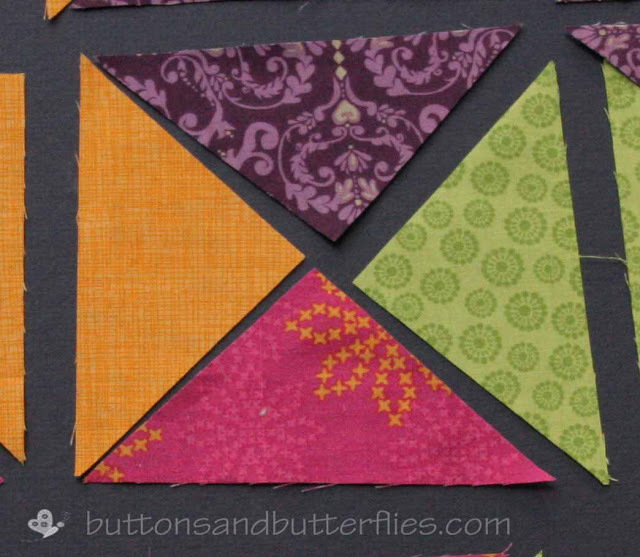 Press your triangles and trim off your points. 10. Assemble each row. Then each row to each other. Note: Fabric Choices. 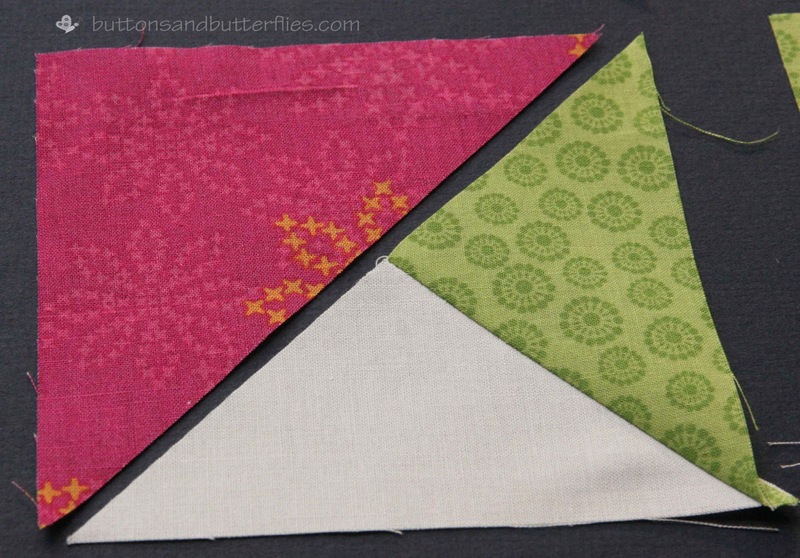 I decided to do blocks to show that sometimes your fabric choices might be similar. The pink in this selection has orange and can read orange when cut into triangles. 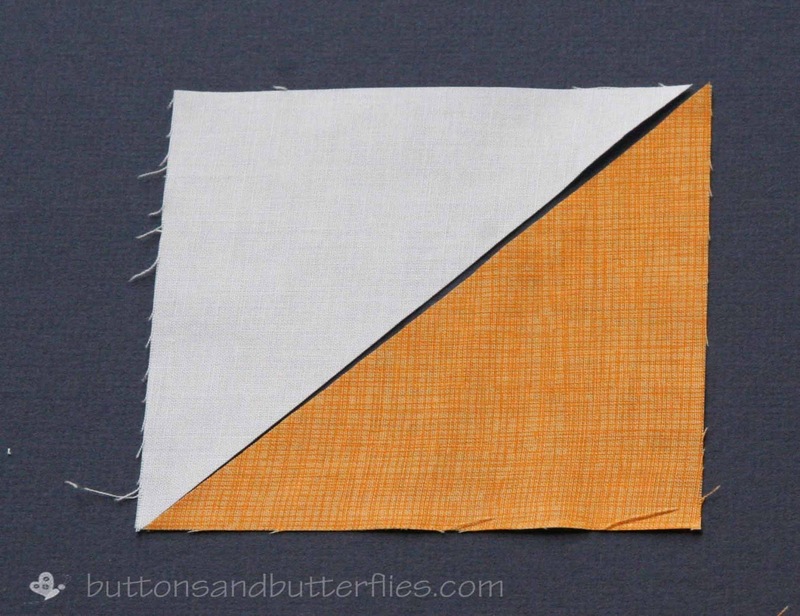 In this case, make sure that the two fabrics are not adjacent to each other and use your other fabrics to have your high contrast! 1. 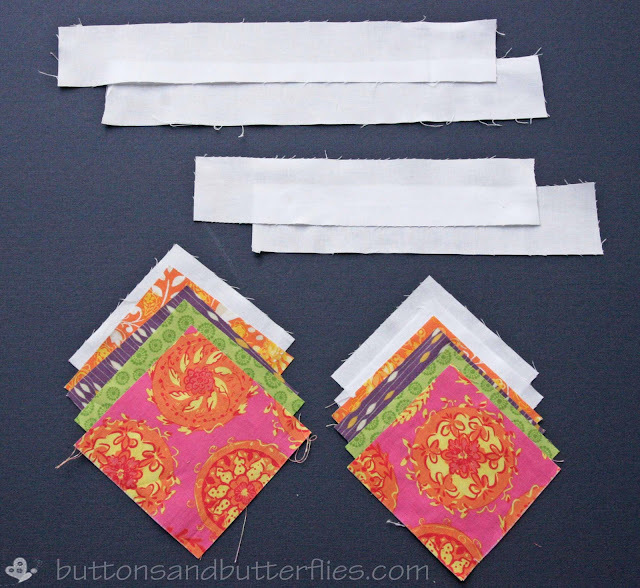 Cut one 4 1/4" square fabric each of background fabric and four "card" fabrics. A total of five squares. Optional Sashing: For the purpose of my quilt design there is sashing to take the 9" block to 12"
3. 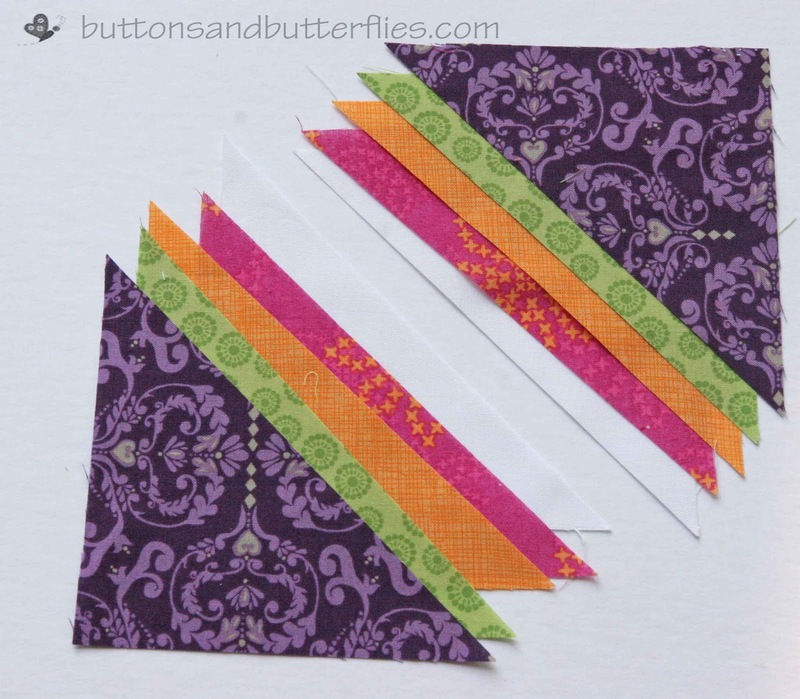 Cut two 2" x 9.5" strips from background fabric. 4. Cut two 2" x 12.5" from background fabric. 5. Repeat steps 3 through 11 from the 12" block tutorial to have a complete 9" block. The layout is the exact same, just smaller pieces! Optional: Once you have pressed the block, add the 2 short background strips (2"x 9.5") to each side of the 9" card block. Press the seams. Add the 2 longer background strips (2" x 12.5") to the top and bottom. Hope this tutorial is helpful! 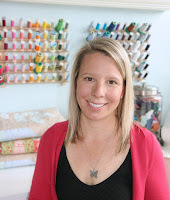 Stay tuned for the entire free quilt pattern! This is one of my favorite blocks, and a fav of one of my friends, too. It's really like a giant nine-patch in some ways, and I love the fabrics you chose! 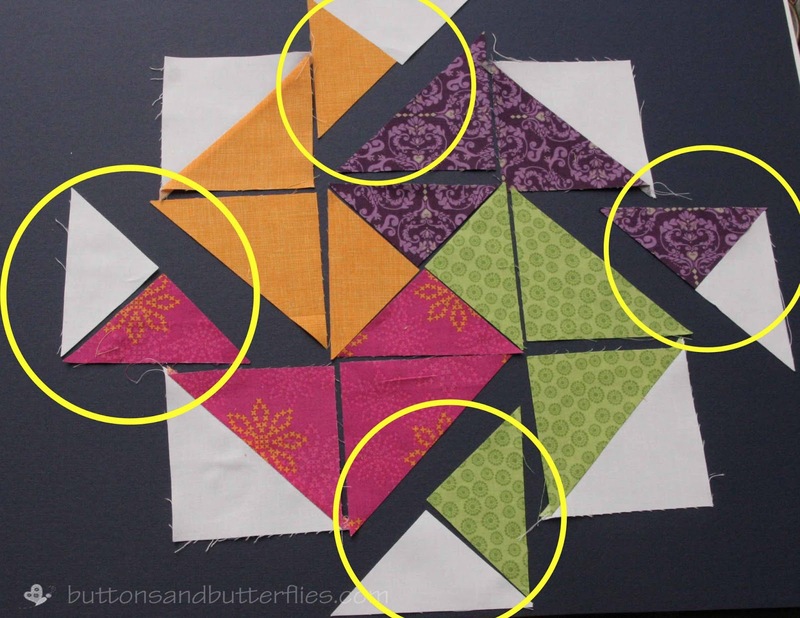 How much material for each color do you need to make the entire quilt as shown at the top of the page? I'm still working on the final pattern and will be able to give you numbers!